Preheat grill. Portion ground beef into four patties. Season burgers with salt and pepper, grill to an internal temperature of 160°F. Peel and slice avocado. 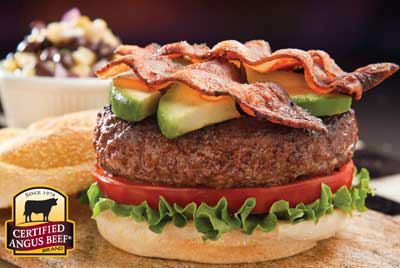 Build burger by layering bottom of bun with mayo, lettuce, tomato, burger, avocado and bacon. Top with bun and serve.